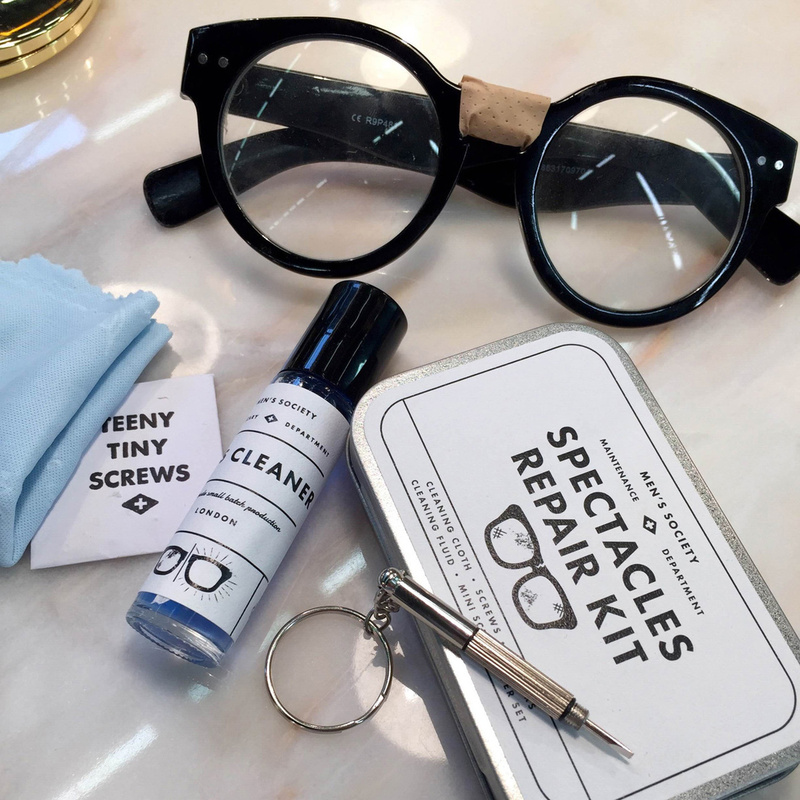 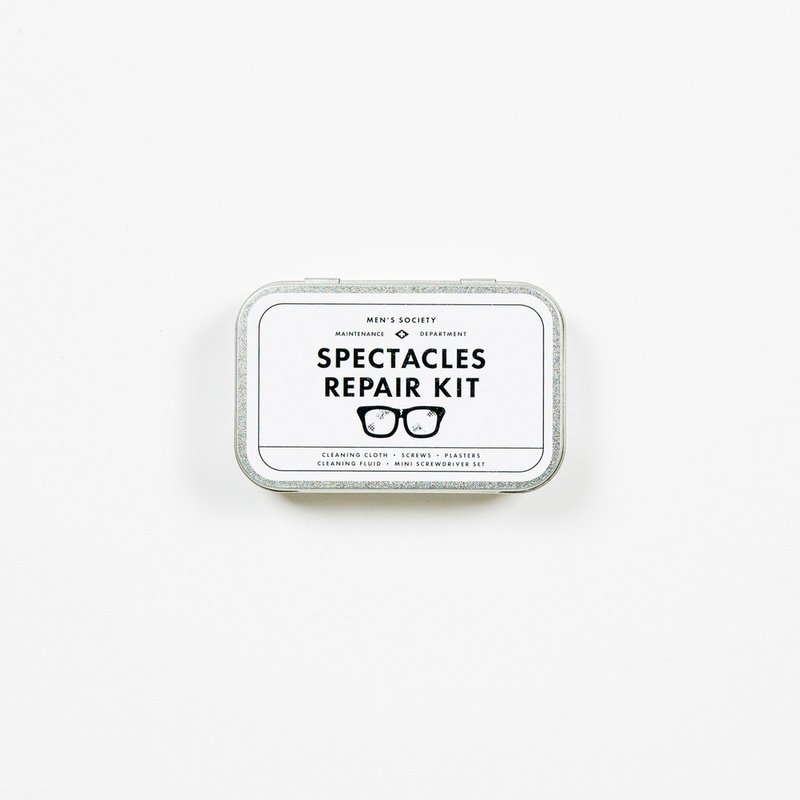 The Spectacle Repair kit by Men's Society is a set dedicated specifically to the care and cleaning of glasses. 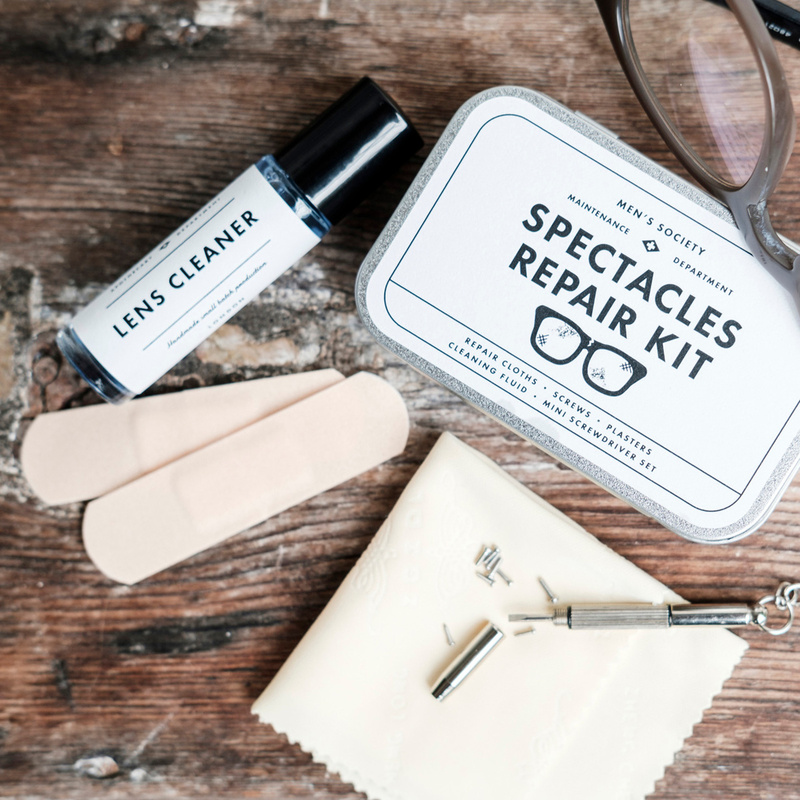 This set includes a bottle of cleaning fluid and a soft cloth to clean the lenses, some eyeglass screws, some mini screwdrivers, and patches. 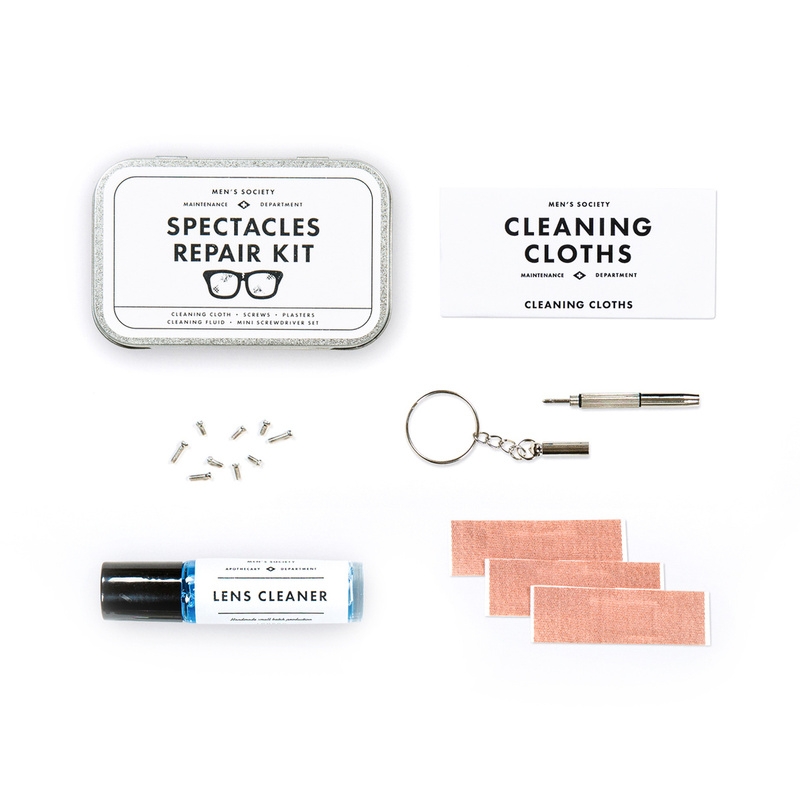 As is the case with all kits by Men’s Society, all these items are contained in a rectangular metal box to ensure easy transportation of the kit. 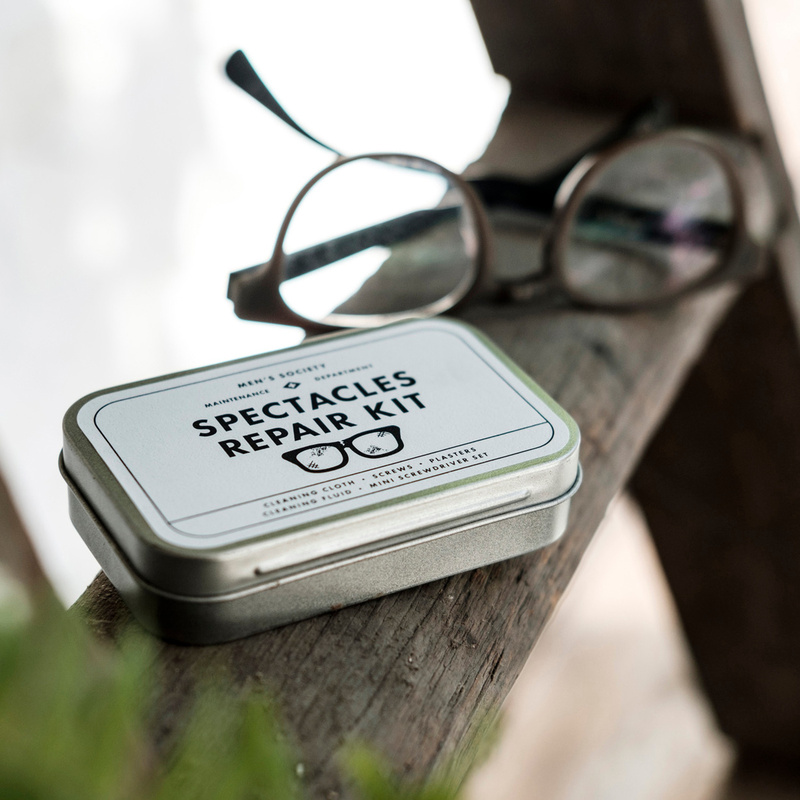 As always, moreover, all pieces in this set are distinguished by their great quality.